An arcade brawler where you become the Hamster-fu master to save the town of Hamsterdam. Will you be the hero your town needs? Will you defeat the whisker twister in chief, the vile Chinchilla Marlo? You bet your bushy tail! Hamsterdam Steam Demo available now! 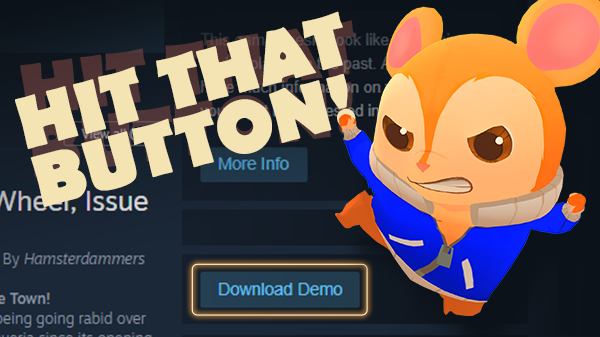 Click the “Download Demo” button on the right side of the Hamsterdam Steam page! This demo includes ‘Canal’ - the first of the 3 Districts in Hamsterdam - with 10 levels, 2 bonus scooter levels, and 2 boss confrontations. You vs. Marlo and his gang of vermin: Can you beat them all and complete the demo? After you've played the demo, help us and fill out a quick Feedback Survey to get a chance to win a Pimm Plushie of your own! This data will be used to pace the levels and difficulties, and helps us a ton! We appreciate every entry. Wishlisting is an important part of supporting the games you love. 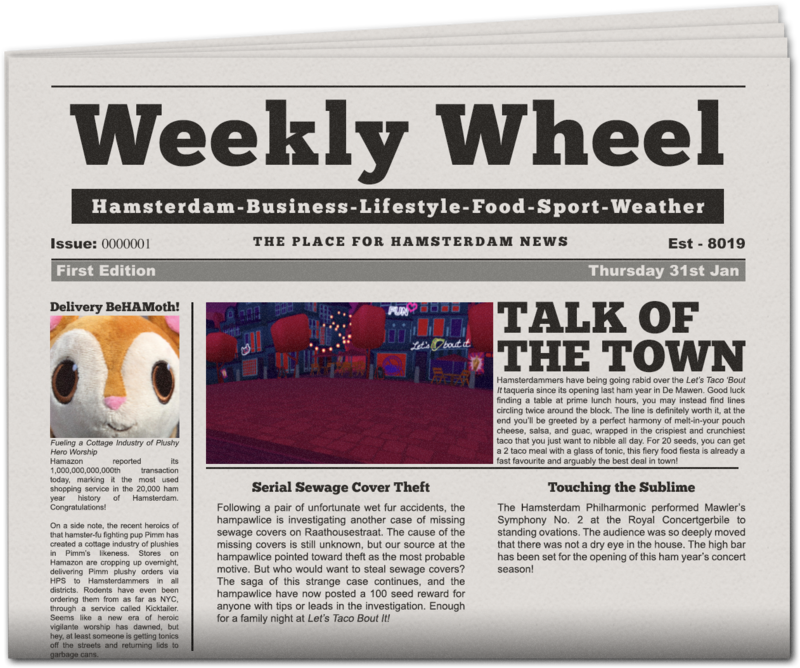 Show Steam and the algorithm that you support Hamsterdam and help us get featured! Clicking that ‘Add to your wishlist’ button can make all the difference. 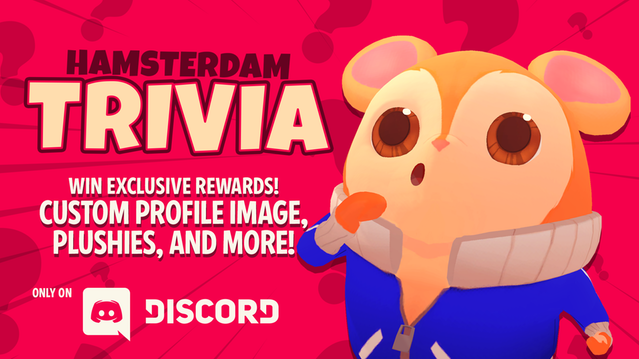 Answer trivia, rank up in Hamster-fu, and get cool prizes! Prizes include stuff like Hamster Plushies, Name in Credits, exclusive in-game cosmetics, and more! Share your experiences with us, and let us learn from you. Hamsterdam Discord is a place for everything from fun hangouts and edgy hamster memes, to game testing and feedback submissions. We really value your input and try to be extra attentive over there! The International Mobile Gaming Awards is one of the longest standing award that honours 'outstanding games' made for mobile devices, and we've now been nominated for a second year! You can vote for us by clicking here! Thank you all so much. With your help we've already been nominated, and received so many honours for our game, and it's not even out yet! This is in large part thanks to the amazing people this game attracts. We've always been blessed with supportive communities around our games, and we couldn't be prouder to release this game with all your help, love, and support. 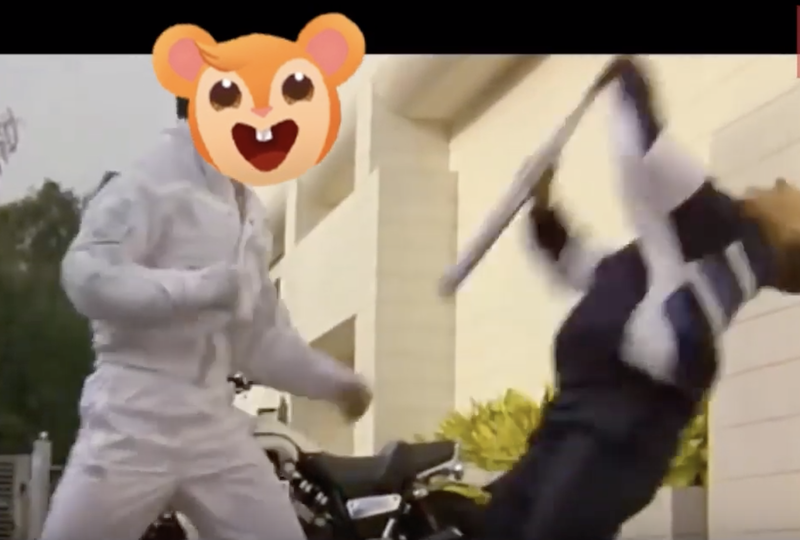 Become the Hamster-fu master in this action packed arcade brawler. Hamsterdam is a a game where classic brawler mechanics meet rhythm and precision. You’ll need a blend of martial arts combos, quick reactions, and timely counters to survive vermin confrontations and boss battles. Swing, swipe and strike your way through the mean streets of Hamsterdam with frantic action, rhythm combos, and become one with the Hamster-Fu. The once peaceful town of Hamsterdam is in danger! The vile chinchilla Marlo and his Vermin Gang are wreaking havoc and terrorizing the town. 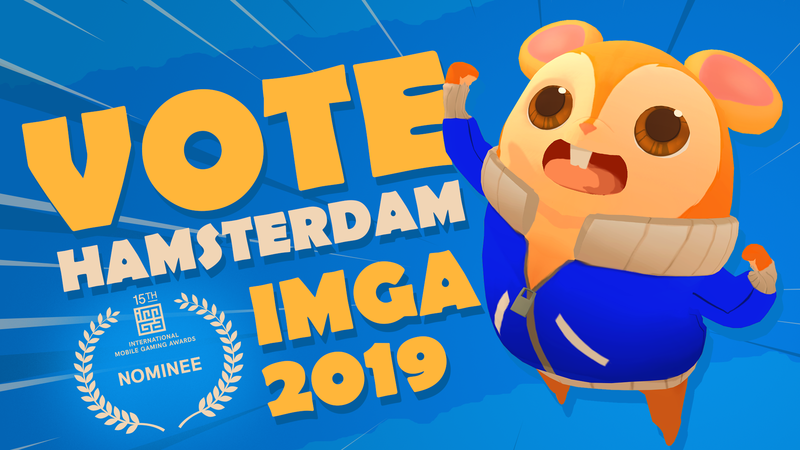 Enter our hamster hero, Pimm, who must harness his mightiest martial arts powers and kick tail through district after district, on a heart-pounding journey to take down the Vermin Gang, save his grandpa, and restore peace to Hamsterdam. Beating down the faceless goons of the Rodent Gang is one thing, but sooner or later Pimm will come toe to toe with fiendish boss battles that will really test your skills. Unlock plenty of hamstertastic Pimm outfits and fight in style. From Couture to Streetwear - offering the finest hamster apparel for on-point beatdowns. © 2019 Muse Games All Rights Reserved.